As astrology predicted, what happened during the conjunction of Uranus and Pluto in the '60s, would manifest globally when these two planets reached their first square. If you haven't heard, we just came out of a three-year period (2012 to 2015) where we experienced seven exact squares of Uranus and Pluto! "You say you want a revolution. Well, you know. We all want to change the world." 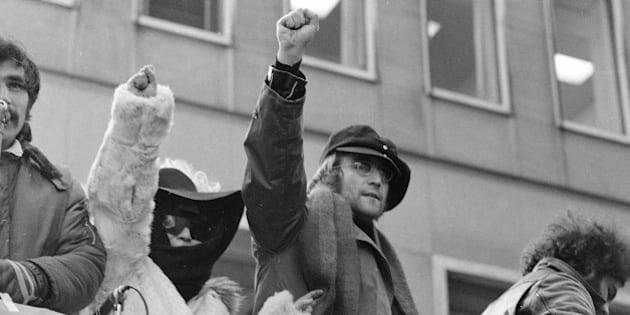 When John Lennon wrote these lyrics for the 1968 Beatles song, "Revolution," it reflected the highly revolutionary times we were living in back then. Known as the "hippie era," this period birthed both a lifestyle and a value system that were considered revolutionary and counterculture to the times. "During the '60s, many individual Americans rose to prominence as activist leaders-figureheads for the rising tide of thousands upon thousands of voices calling for peace, justice, freedom and equality. The government responded with tactics aimed at isolating, controlling, and neutralizing the leaders of rebellion." Sound familiar in our current social and political climate? "Every activist conflict of the '60s can be distilled in a single image of opposing forces at a barricade: on one side, the people attempt to exercise their rights; on the other side, the government asserts its right to protect the nation. During the '60s, these two simple objectives were not viewed as compatible concepts." As astrology predicted, what happened during the conjunction of Uranus and Pluto in the '60s, would manifest globally when these two planets reached their first square. If you haven't heard, we just came out of a three-year period (2012 to 2015) where we experienced seven exact squares of Uranus and Pluto! The effects of this are still having an impact on us now. We're currently living in supercharged times of revolutionary and sudden changes at the core level of both individuals and institutions. You don't have to look too far to see where this is manifesting on the planet now. Where have you felt this in your life? Both of these men shine a spotlight on the need for revolutionary racial, social and economic justice changes. It isn't just words they're speaking. They embody their words and "walk their talk." As an Aquarian (a fixed air sign), the idea of change fascinates me, yet I'm somewhat resistant to it when it's imposed on me. To change is defined as "to become different. To make (someone or something) different. To become something else." 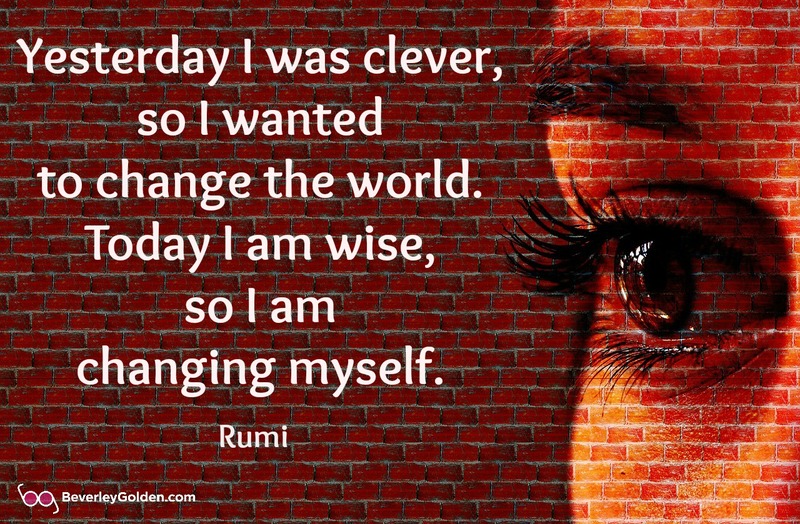 There's nothing new about the idea that change happens from within. Throughout history, we've heard this echoed in the words of philosophers, scientists, musicians, writers, religious leaders and politicians. The question remains. What does it take for someone to take that step from wanting to change, to finally taking an action to change? As a vocal animal lover-activist, I realized it's not enough to just say I care about animals. I have to continue to do things that really show I care. Other than donating to many animal rights causes and signing oodles of online animal rights petitions, I wanted to do more. It became important to make sure that all the cosmetics I use weren't tested on animals. Especially as the thought of animal testing greatly upsets me. Although the make up brand I use doesn't condone animal testing, it surprised me to find that their products are sold in China, and China has a law that requires all cosmetics are tested on animals. Troubling news to me. It isn't hard to find a wide range of companies who are totally animal cruelty-free, so I changed brands immediately. Here's a good list of companies that are certified not to test on animals. As someone who cares deeply about the environment, carrying cloth bags with me when I go shopping is the norm. Yet, I'm constantly amazed at how many people still have their purchases loaded into plastic bags, even though the planet is literally drowning in plastic. It keeps me wondering if people are oblivious to how each of our daily actions has an impact on the world as a whole. It was exciting to read that plastic bag consumption has dropped by 85% in the U.K. since last October when a five-pence (seven cents U.S.) charge was imposed on plastic bags! With such staggeringly positive results, I'm curious how long it will take for this idea to be implemented here in North America. Or how long it will take for more people to abandon plastic bags and use readily available eco-friendly alternatives. This is an arena I have years of personal experience with, having been faced with serious health issues in my life. Often we say we want to be healthier and yet taking the steps to actually be healthier, means we have to change...something. Old habits die hard. Much of my health journey is chronicled in my book Confessions of a Middle-Aged Hippie, as my experiences confirm that it's only possible to change, if we want to. 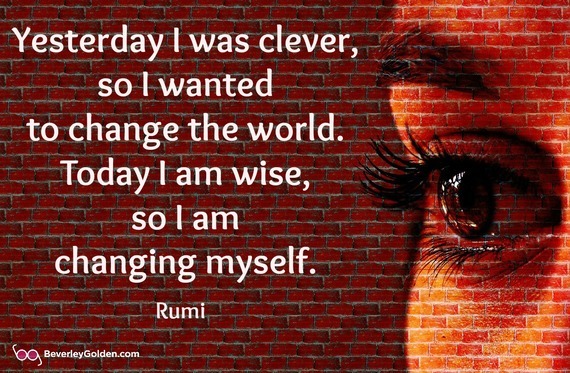 Through years of searching for ways to transform my personal health, and now as a health and vitality consultant supporting others, I discovered that real change can only happen from the inside out. Yes, it's important to have support from the outside world, but ultimately health comes down to making a conscious choice to change. Like everything in life, it's personal and requires a commitment to ourselves. Little question that we are living in revolutionary times. There are many ways we can use our voice to vote for change. We vote every day with our dollars when we choose the products we buy. We vote in almost every action we take in our daily lives. We all can make a difference when we vote by using our voice and through our actions. 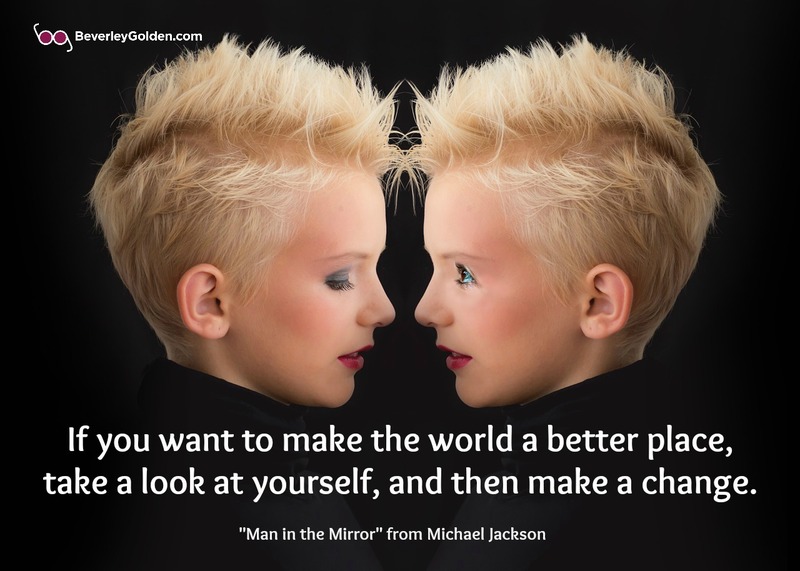 One of my favourite songs about change, is the Siedah Garrett and Glen Ballard penned Michael Jackson song, "Man in the Mirror". This says it all. "If you want to make the world a better place, take a look at yourself and then make a change." What are you willing to change?